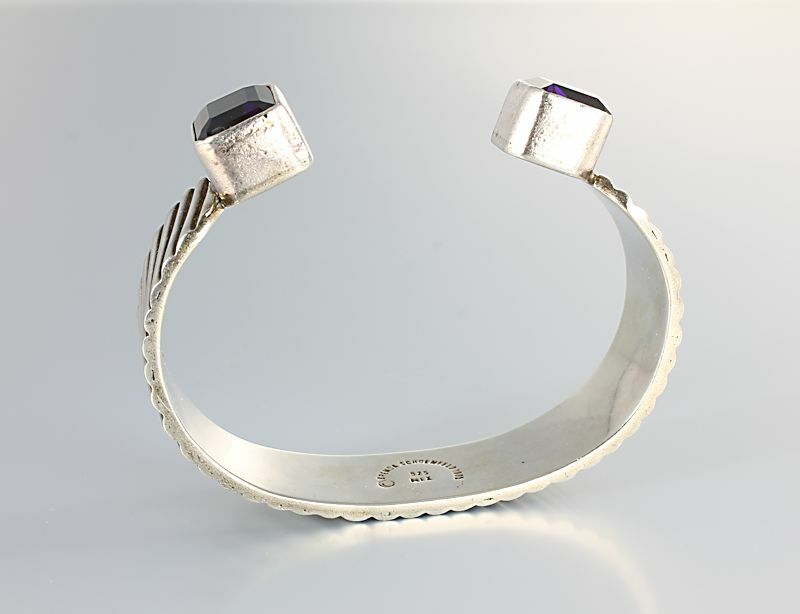 Substantial cuff bracelet by Taxco designer Brenda Schoenfeld. 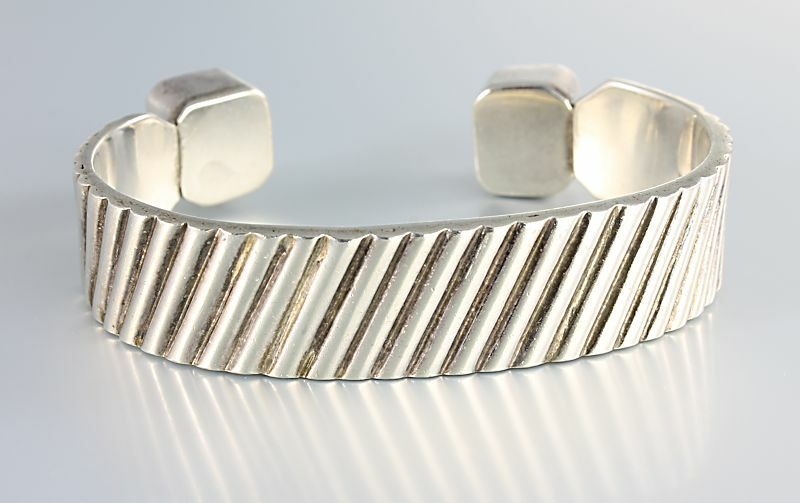 Crafted in thick sterling silver sheet, bracelet showcases a diagonal ribbed pattern. 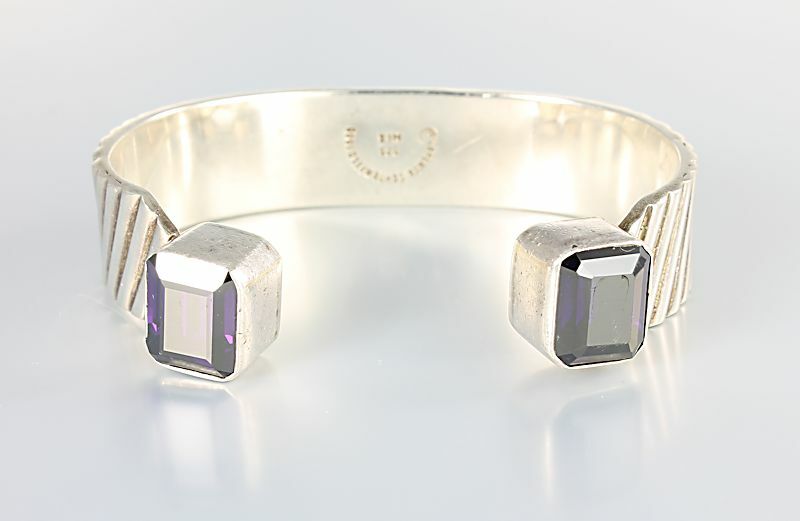 Ends hold French cut amethyst crystal stones measuring 11mm by 9mm. 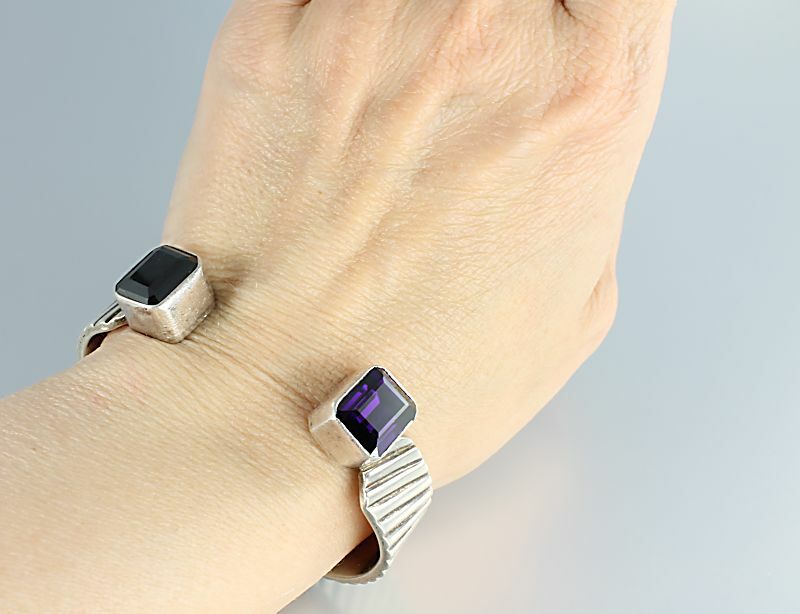 Cuff measures 2 5/16 inches by 1 3/4 inches measured on the inside diameters of the sheet piece. 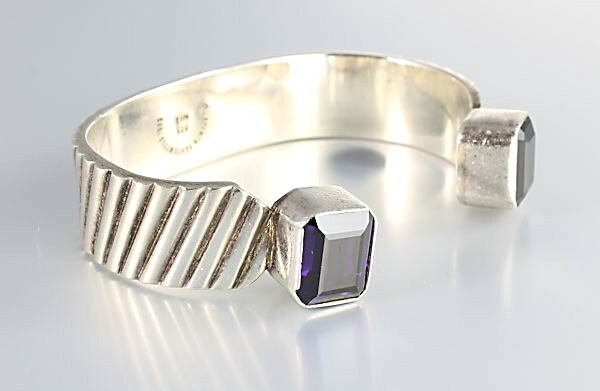 Stones sit 3/8 inches high. Opening is 7/8 inches. Width is 9/16 inches. Weight is 46.5 grams. 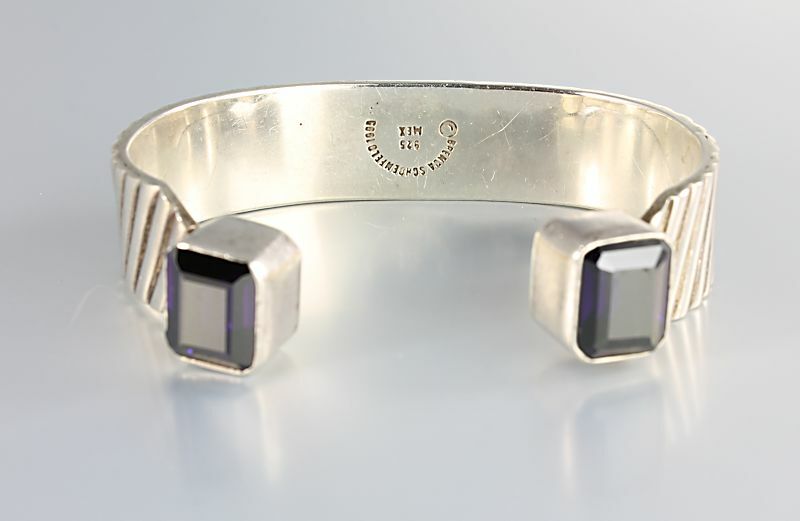 Bracelet has some wear, but is in overall great pre-owned condition.